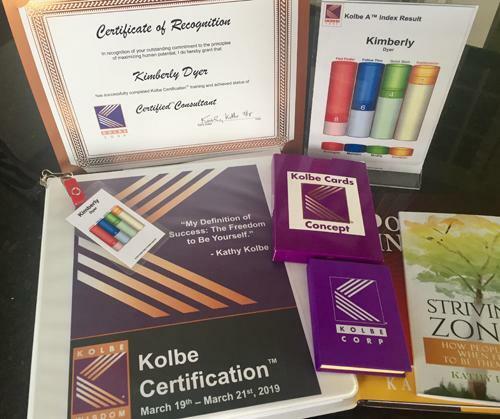 As a company passionate for developing leaders and building high-performance teams, we are excited to announce Kimberly Dyer is now a Kolbe Certified™ Consultant! Hire Better for the best teams within your organization. It starts with the Kolbe A™ Index. Tens of thousands of businesses use this index to identify an individual’s way of thinking and decision making. In a world where companies know that the success of your business is equal to how well your team works together, Kolbe Indexes are an excellent tool to determine everyone’s natural strengths and instinctual style. It is a perfect starting point for how to make those strengths and styles work as a team. 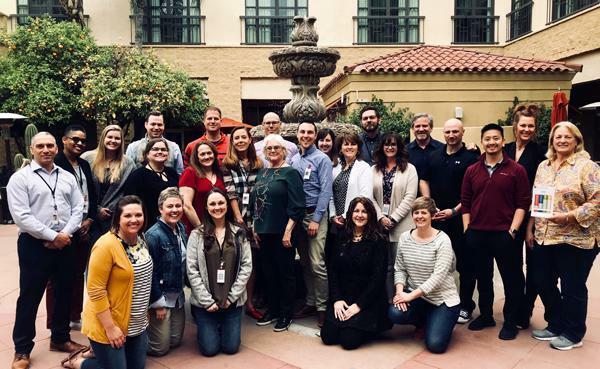 The Kolbe Certification is an immersive training program that provides an in-depth understanding of the Kolbe System™ and foundational theory. Kimberly was trained at the Kolbe Corp, including instruction by the creator herself, Kathy Kolbe! Curious how Kolbe can help you select and maximize talents? Want help building and leading teams? Contact us for more details about how Kolbe can help you. Or, if you’re ready to dive right in, give Kimberly a call or email her at kimberly@cultureshoc.com right away. Next PostAre You Buffalo Certified?